Small spheres about the same size or smaller than acini di pepe. Pastina is a variety of pasta consisting of tiny pieces of pasta available in a variety of shapes. It is the smallest type of pasta produced. It is made of wheat flour and may also include egg. 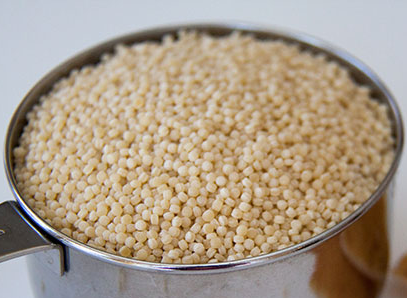 Pastina is typically used in broth soups in Italian and Turkish cuisine. Recipe using Pastina see Here.